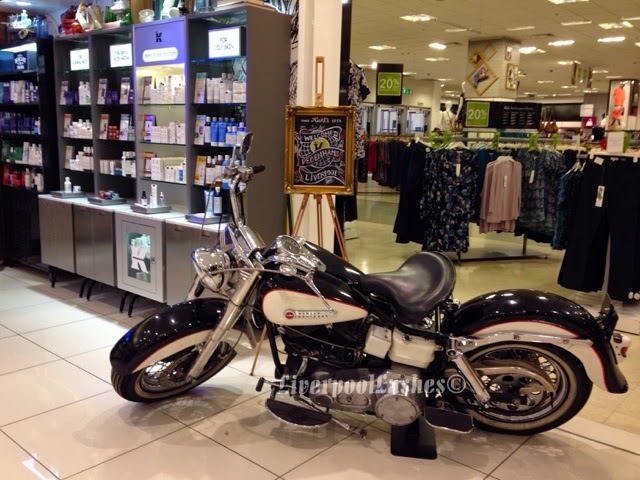 I was so excited to be invited to a Kiehl's event at their new counter in Debenhams LiverpoolONE which I attended last Thursday along with five other bloggers (Laura, Vicky, Jade, Abigail and Nafisah. 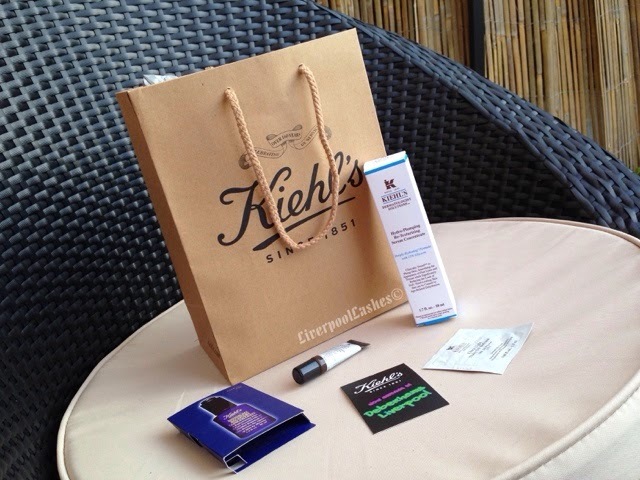 At this point I've only tried one Kiehl's product, Kiehl's Midnight Recovery Concentrate and loved it but I was keen to learn more about their products and the company ethics so this was perfect. The night began with some bubbly and cake whilst Gerwyn (who has a slight resemblance to Max from Catfish, just saying!) 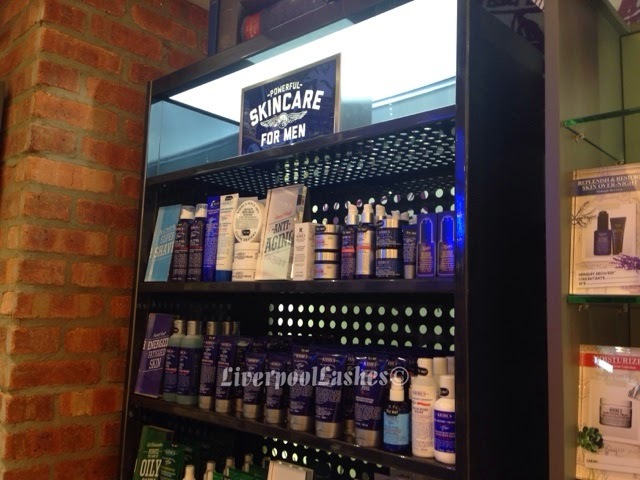 the education executive, gave us a talk about the brand and some of their star products including their new product launch, Kiehl's Hydro-Plumping Retexturising Serum Concentrate. He was also assisted by the wonderful staff at the counter, Ellie and Michelle. 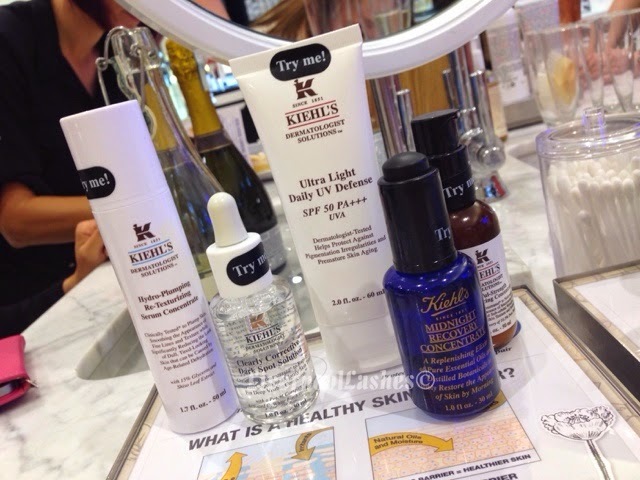 I learnt a lot about the Kiehl's brand which was fantastic! Founded in 1851 in 3rd and 13st New York, John Kiehl created his old-world apothecary which sold various ailments including stones to ward off evil spirits which is still there to this day. To this day the staff still wear lab coats to honour their heritage. In time the business was passed to Adam Morse, who kept their traditions but in the 1950's they were one of the first to introduce men's skincare so to draw attention to the male market he thought about his hobbies and interest in flying and motorcycles and decided to bring in a motorbike to be displayed in the store. Steve McQueen actually donated his bike to the original store in New York. 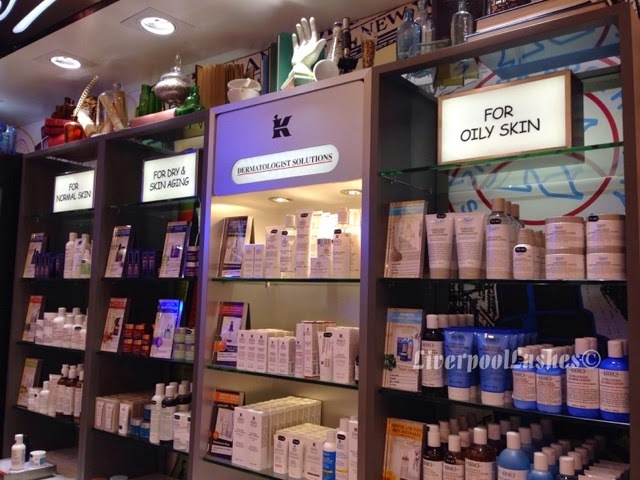 Kiehl's finally opened a UK store in 2000. Another little quirk is Mr Bones the skelton who was used for explaining prescriptions back when they were founded so is therefore is still at the Kiehl's counters today. Kiehl's actually raised $200,000 from sales of a limited edition Kiehl's Midnight Recovery Concentrate for Alicia Key's charity, Keep A Child Alive who is amongst others like Mary J Blige and Pharrell Williams. 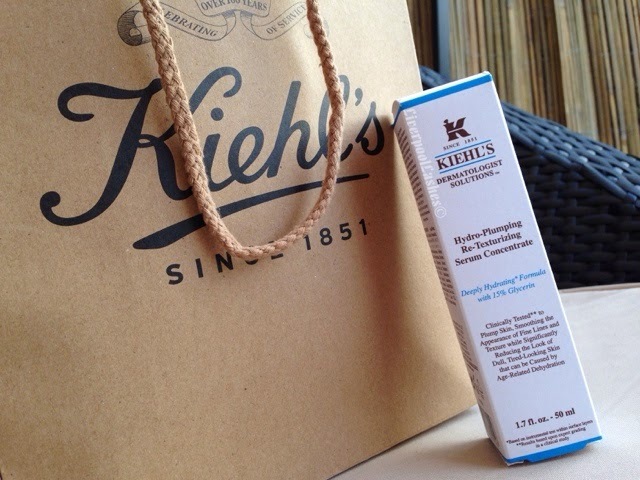 Let's talk about the star of the show, Kiehl's Hydro-Plumping Retexturising Serum Concentrate. When I arrived at Debenhams I actually had already watched a video by Amelia Liana raving about this product only that afternoon so I was incredibly excited to try it out for myself. The idea behind it is that the formula anchors moisture deep within the skin's surface layers to address age-relayed dehydration. Gerwyn explained the beads in glass jars as a representation of your skin. 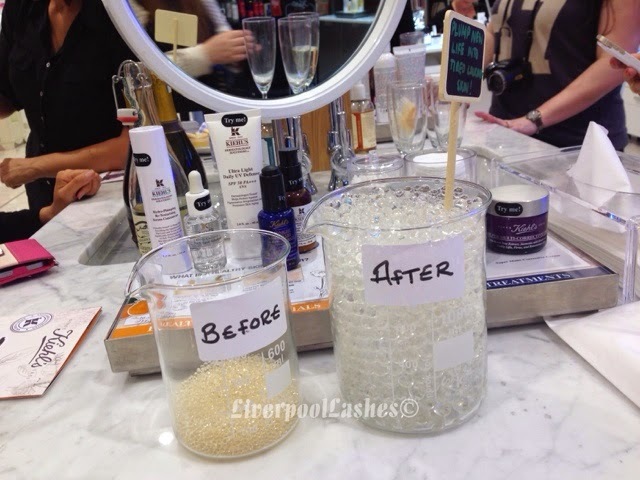 Before is dehydrated skin and after are the same beads that have been in water but they have retained the moisture and have therefore grown and are lovely and plump, exactly how we all want our skin to be. Kiehl's Hydro-Plumping Retexturising Serum Concentrate is almost like a big drink for dehydrated skin! The texture is non-sticky and literally feels as light as water as it sinks into your skin. It can be used on all skin types under your usual moisturiser. At 15% it contains a particularly high amount of glycerin to help hydrate. You literally only need two pumps of it, press onto your cheeks and forehead and ensure all of your face has been covered. It aims to plump and hydrate for younger, brighter looking skin. It is also paraben free and like all Kiehl's products, they do not test on animals. Gerwyn also demonstrated a range of amazing products photographed above and then Ellie and Michelle came around to each one of us for a skin consultation and checked our oil levels which I was really surprised at as I assumed I have oily skin but the results came back that I am dehydrated. At the end of our session with them Gerwyn recommended products for any issue that we may have. I hope you've found it useful! 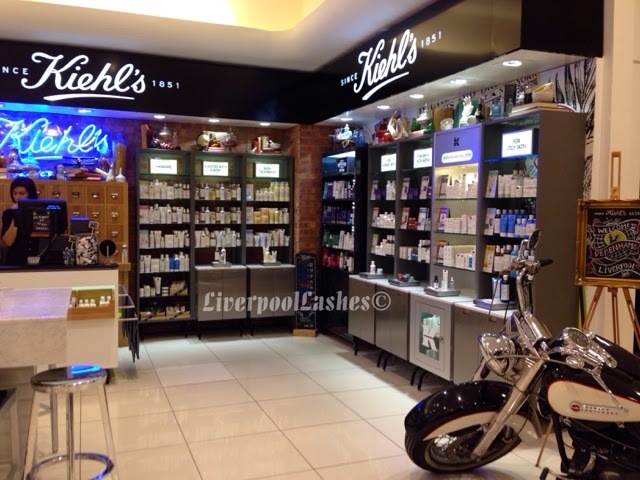 If you have any more questions then I highly recommend you pop along to a Kiehl's counter and speak to one of their very knowledgeable staff.